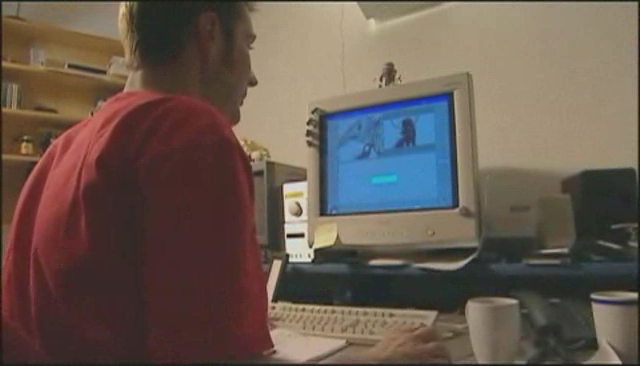 From March 2001: Skaramoosh used SOFTIMAGE|3D v3.9 and SOFTIMAGE|XSI v1 and v1.5 to create over 23 minutes of computer animation for Discovery’s flagship documentary ‘Land of the Mammoth’, a two-hour programme. The project, involving in excess of 100 computer generated (CG) shots, took a core team of eight people four months to complete and includes the animation of not only mammoths but also a woolly rhino and a giant deer. 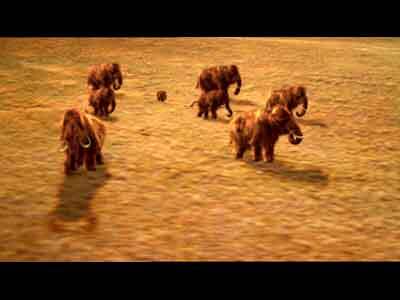 The mammals were modelled in Softimage 3D v3.9 and animated using SOFTIMAGE|XSI. I recently found a Quicktime of the behind-the-scenes film for a project we did at Skaramoosh for The Discovery Channel back in 2001. We did all the animation in XSI v1 and transferred actions back to Soft 3D (can’t remember the exact version, the last before v4 iirc) for rendering due to the fact that we created the fur using Nordisk Film Fur Designer (my responsibility on the project). The fur renders were OpenGL in Fur Designer so there was LOTS of post fudgery, but damn it was fast! Despite the speed, we still had to rent in a ton of Octanes to push it through. It was summer and everyone had to work with an rendering Octane between their legs so the office was toasty to say the least! I don’t know if Stefano will remember, but we looked into PhoenixTools fur for Mental Ray (which he wrote iirc) at the time and I had some direct conversations with him while I tried to get to grips with it. It was featured in the first edition of the XSI magazine (I say first edition, I think it was the only edition!) which I still have kicking about somewhere. I’m the guy in the grey shirt, studiously taking notes at 2:13. Other people from the list past and present who make an appearance are Sebastian Read, Olly Nash, Maarten Heinstra and Keith Fallon. DIGITAL effects company Skaramoosh have created over 23 minutes of computer animation for Discovery’s flagship documentary ‘Land of the Mammoth’, a two-hour programme. 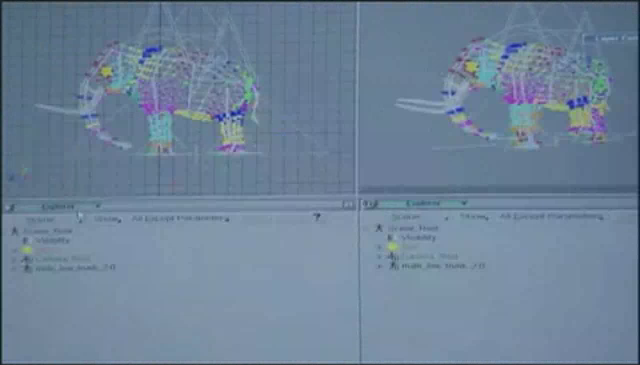 The project, involving in excess of 100 computer generated (CG) shots, took a core team of eight people four months to complete and includes the animation of not only mammoths but also a woolly rhino and a giant deer. A large amount of the project was completed in SOFTIMAGE|XSI version 1.0 and final stages in version 1.5. 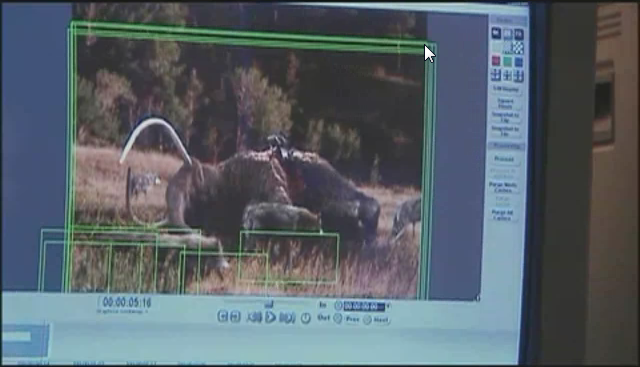 The sequences were created to illustrate the life pattern of mammoths, where and how they lived and survived. Specifically created sequences include birth, mating, fighting and, finally, dying. There is also a sequence to illustrate what the mammoth evolutionary process was thought to have been. The mammals were modelled in Softimage v3.9, animated using SOFTIMAGE|XSI and then brought back into Softimage v3.9 to render the fur. Once rendered the animation was taken into one of two compositing systems, Avid Illusion or Avid DS, to be composited with the backplates. Careful scheduling was required to avoid any compositing bottleneck. ‘Land of the Mammoth’ airs on the Discovery Channel on March 11. This entry was posted in Friday Flashback and tagged 3D, Friday Flashbacks, Skaramoosh, Softimage, SOFTIMAGE|3D by xsisupport. Bookmark the permalink.